Mine's Super Response Complete Engine was developed on the concept of giving shape to the word “Ultimate.” You now can be witness to the ultimate result of the combination of the highest quality workmanship using absolutely the best parts available to give birth to the prized item that will bring out the maximum potential of the R35 GT-R. Modified to high lift cam to fit Mine's original profile. ＩＮ256°/Lift 10.2mm EX264°/Lift 10.5mm. Matched and bench tested to produce higher response and more power throughout with both standard turbines and with Mine's R-35 GTR Super Response Complete Engine's modified turbines. No low speed torque has been sacrificed, therefore works great with automatic tranmissions. 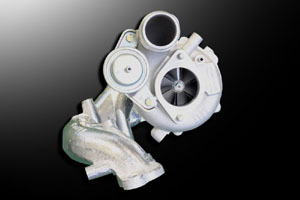 The stock valve guides are manufactured with molds and in worst case scenarios may break when surging occurs at high rpms. The valve guides in the Super Response Complete Engine are made of very high quality phosphor bronze to reduce friction and increased heat conduction. The valve seatings have been adjusted and smoothened to produce higher outputs. By resurfacing and polishing the surface we have been able to achieve higher intake and exhaust flow at a lighter weight with better response. The cam shafts and valves clearances have been adjusted to perfection achieving a perfect balance in each cylinder. It would not be over exagerating to say that the engine's "gut" is in the cylinder heads. By ideally adjusting the shape and mirror polishing the ports, the flow of gas mixtures have been heightened to the max. 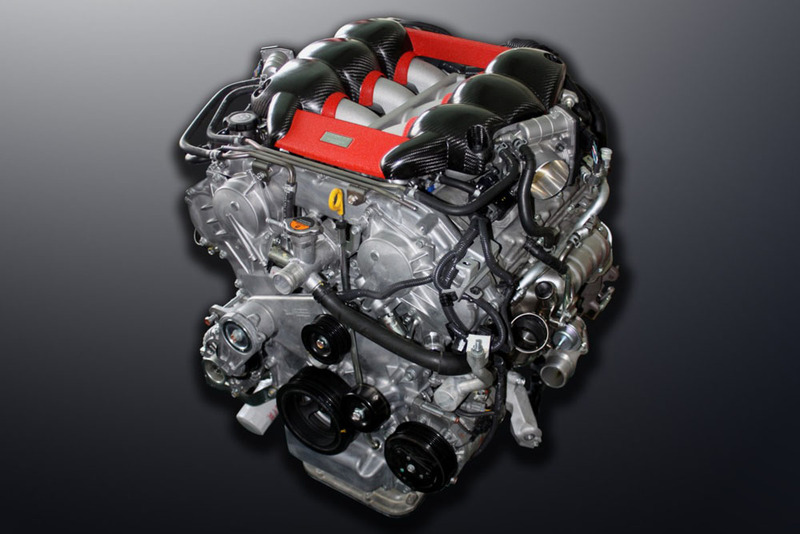 The ingintion room and cylinder block are perfectly sealed using our original head gasket. The standard gasket is also made of metal, but by applying a special coating we have been able to gain a stronger seal. 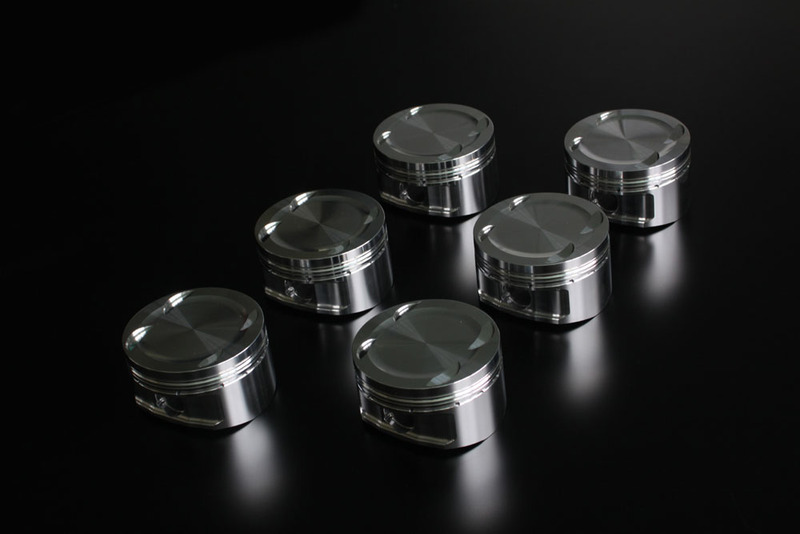 To take 100% advantage of the heat conduction produced by the plazma coating on normal engine blocks, standard bore size special wrought aluminum alloy pistons were designed specifically for high RPM and high boost . These pistons have been forged to be 35g lighter than stock pistons. The piston rings and pins were specially designed to significantly reduce friction and higher output production. 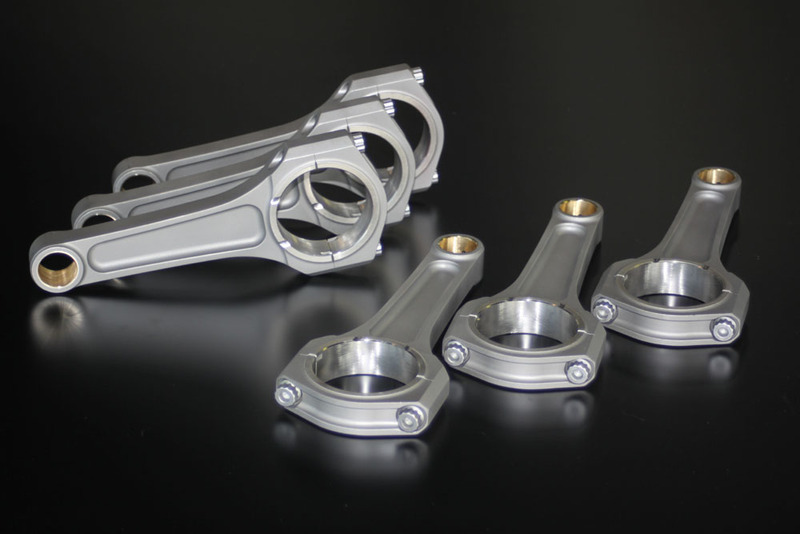 The standard connecting rods are made of forged steel and are found to be a lot more durable than parts from the past but cannot be relied on for higher response due to the weight. To significantly lighten and strengthen the connecting rods Mine's manufactured original connecting rods with an “I” cross section made of Titanium. This also factors in to gaining the “Ultimate” response. Weight: Mine's 478 g (Standard 724g). 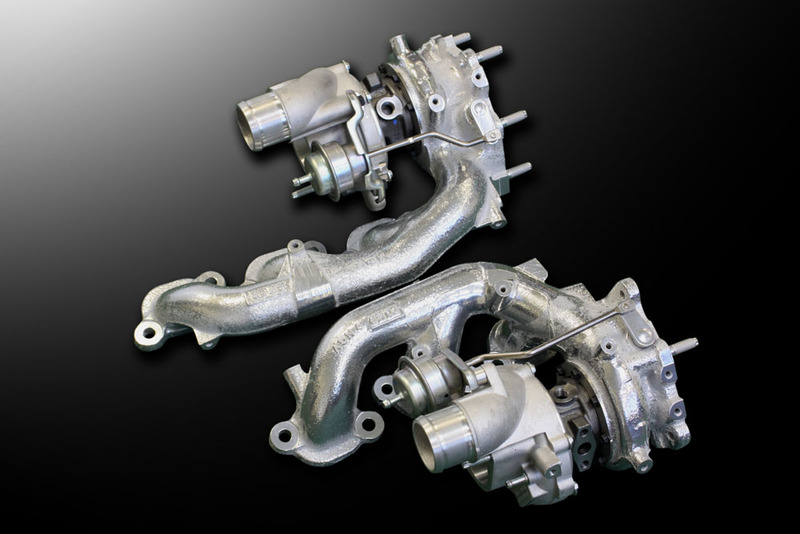 In order to take advantage of the super lightweight connecting rods and pistons the crank shaft needs to be of the ideal shape, lightweight, and possess the proper durability. By using special dummy weights and a state of the art Balancer Machine we have achieved the "perfect" dynamic balance. The surface of the main bearings have a WPC (wide peening and cleaning) process applied to it to be able to withstand high oil temperatures and extreme pressures. All parts have been perfectly balanced and weighed in a climate controlled room to achieve a difference of 0g. Absolutely no details have been left out. Mine's Original Turbines were developed as a piece of the kit to go with the Super Response Complete Engine. The OEM turbines have been modified by expanding the diameter of the housings intake and exhaust, and modifying the impellers shape and form by using ball bearings to reduce friction. By combining these Turbines with Mine's Super Response Complete Engine and having each part support each others vulnerabilities we were able to omit the negative results that show at low RPMs and achieve the greatest performance available. As a result we have been able to produce an astounding change in comparison with the stock turbines and can produce (apprx 800ps). Improvements may be made without notice which may alter the Specifications and Pricing (JULY 2010).